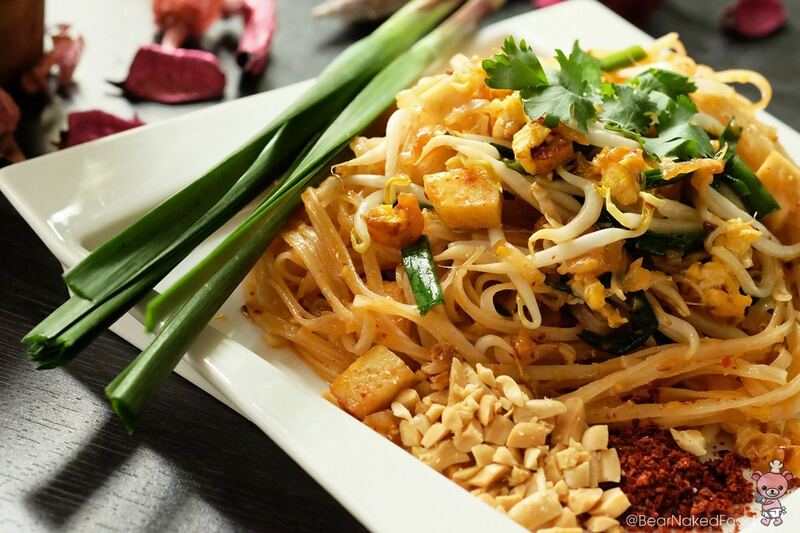 Pad Thai is listed at number 5 on world’s 50 most delicious food. It’s not hard to imagine why. This delectable stir fry noodle dish is packed with intense flavor and utterly addictive. 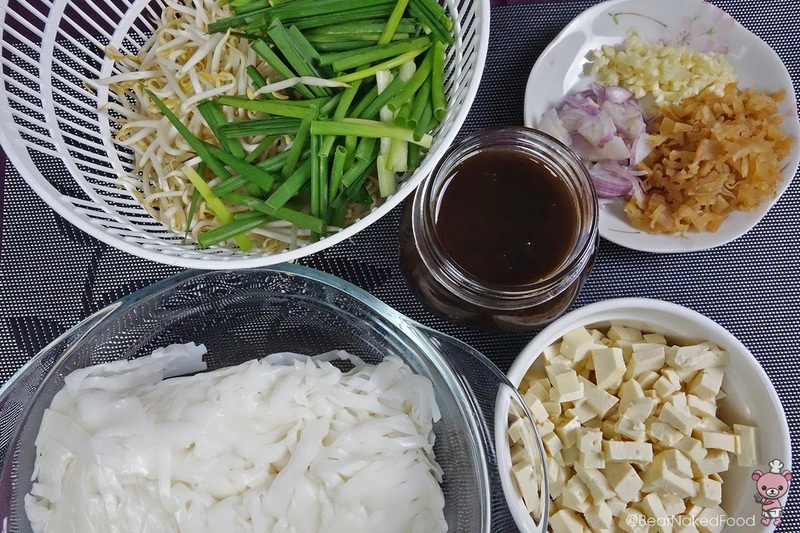 Pad Thai uses simple, everyday ingredients we can find in our local supermarkets so there is no reason not to try making it at home. 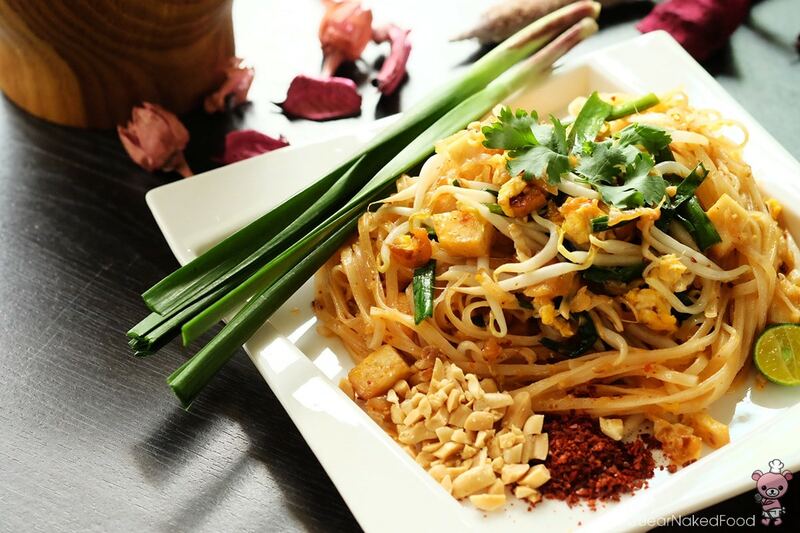 The ‘essence’ of Pad Thai is really in the sauce – Tamarind paste. 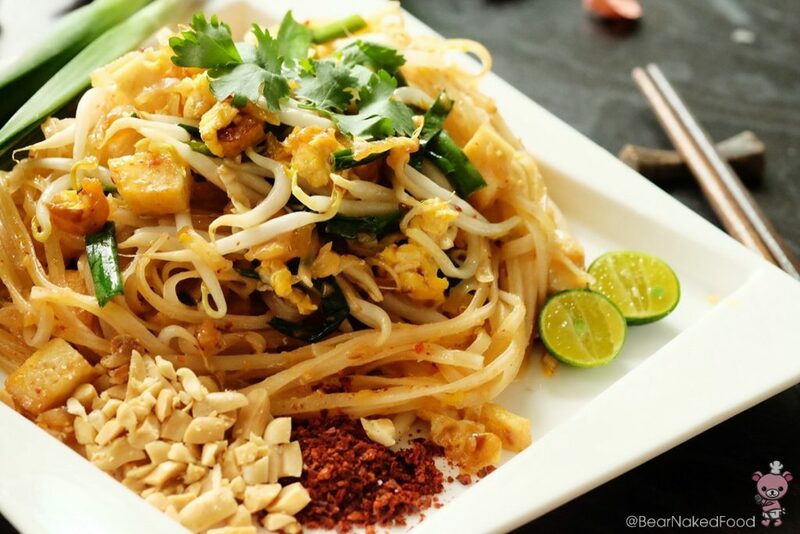 I highly recommend you to make your own Pad Thai sauce as bottled or package type never tastes as good as fresh! 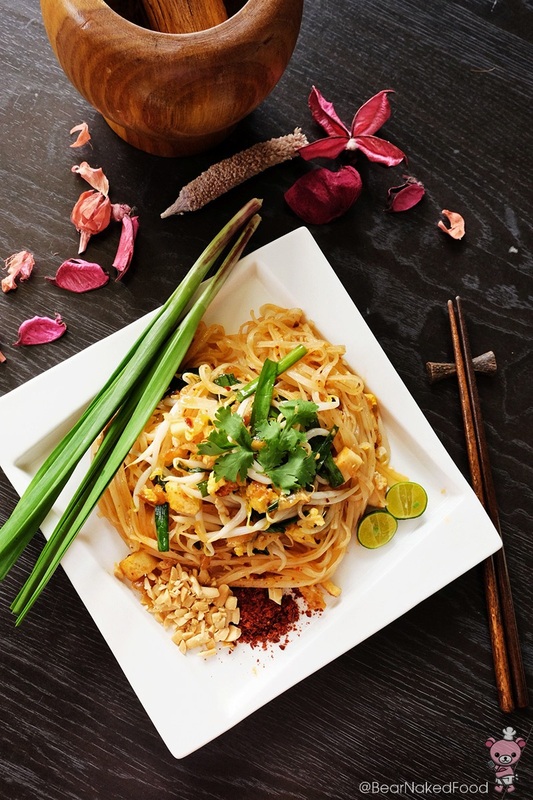 This Street Food Style Pad Thai recipe is closely adapted from what you would find at those street food stalls in Thailand. Since I did not manage to find any fresh shrimps, I’ve omitted that ingredient. 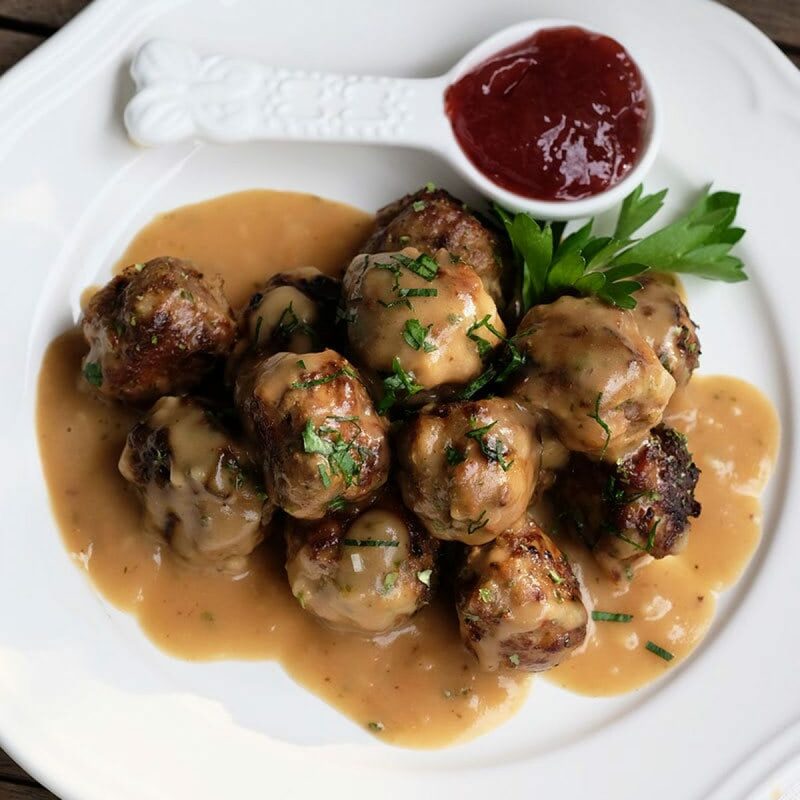 Feel free to add in your favorite protein (i.e. shrimp, chicken, beef, etc) to make it a wholesome and complete meal. 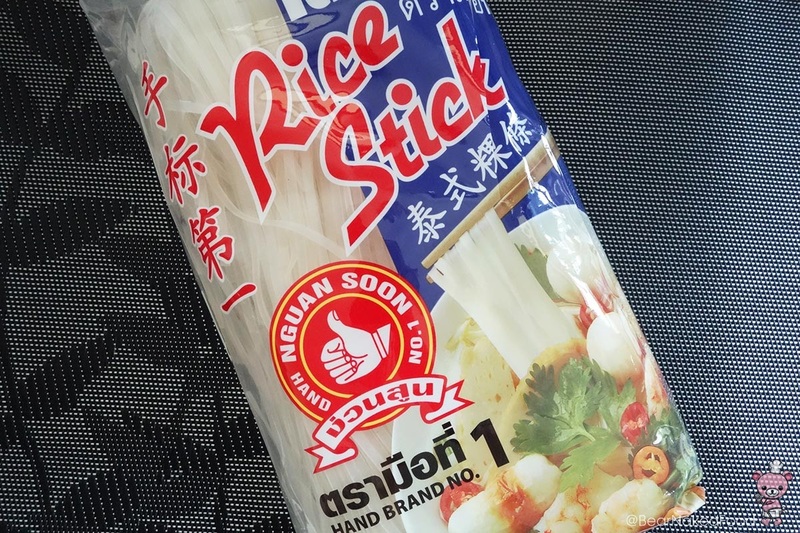 Soak rice stick noodles in a bowl of cold tap water or about 30 mins, until opaque. It should look like this after soaking. Place all the ingredients near to your cooking station. 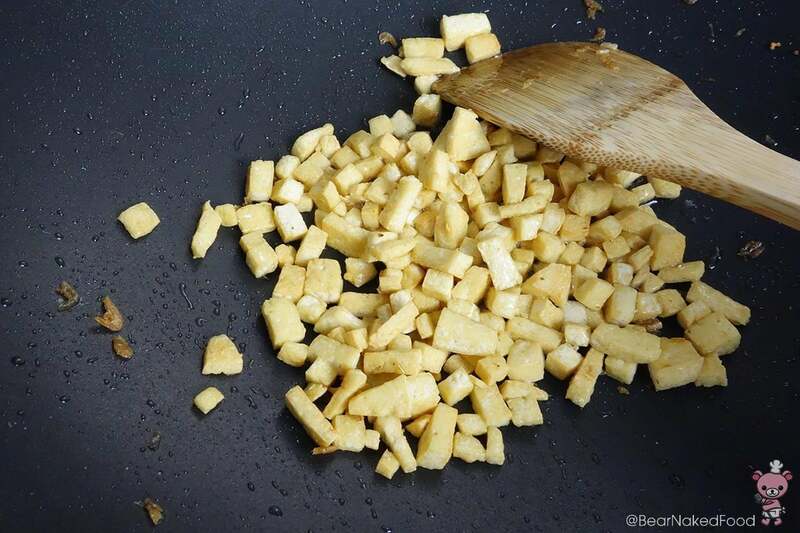 In a large wok or pan, add 3 tbsp oil and when the wok is hot, add in garlic and shallot and stir fry briefly until fragrant. Add in tofu and dried shrimp and cook until golden brown. Add in minced preserved radish and cook for a further 30 secs. Push the ingredients to one side of the wok and add in another 2 tbsp oil. Drop the rice noodles in and drizzle 1/3 of the pad thai sauce over it. Stir fry quickly and combine the rest of the ingredients in the wok together. Push the noodles to one side of the wok and add in 2 tbsp oil. 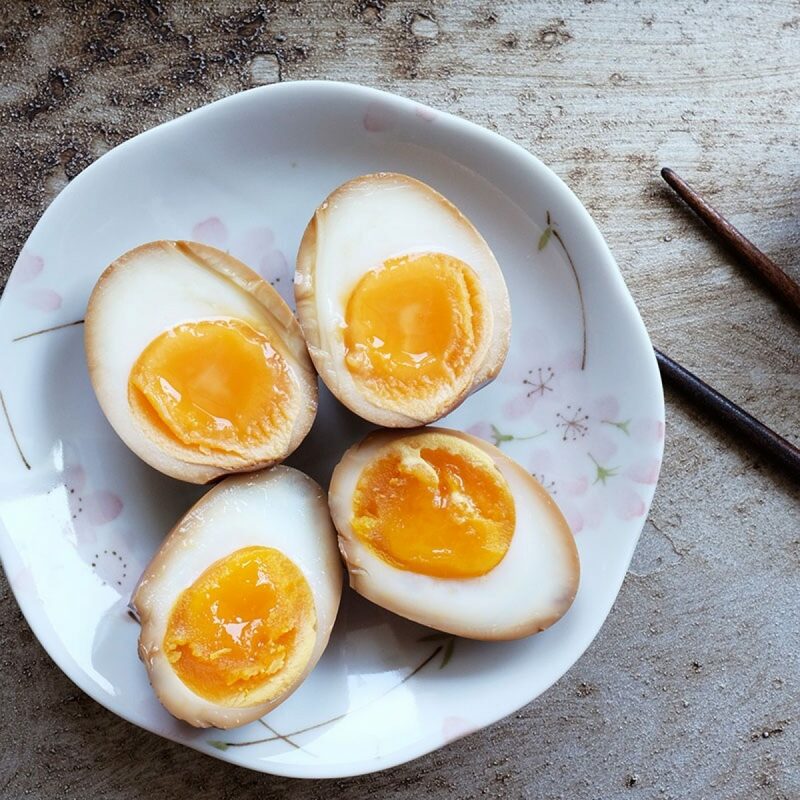 Crack the eggs into the wok and use the spatula to break it. Let it sizzle in the wok for few secs before putting the noodles on top of the egg. Add in desired amount of chili flakes, crushed peanuts and pour in the rest of the sauce. Mix well. If the noodles appear to be dry, add in 1/2 cup water. Cook until noodles are soft but slightly springy. Lastly, add in the bean sprouts and chives and cook for a final min. I like to keep the vegetable on the crunchy side. Serve hot, top with garnish and squeeze in the juice of 1/2 lime for that extra tanginess, if desired. Add all the ingredients in a saucepan and bring to boil. 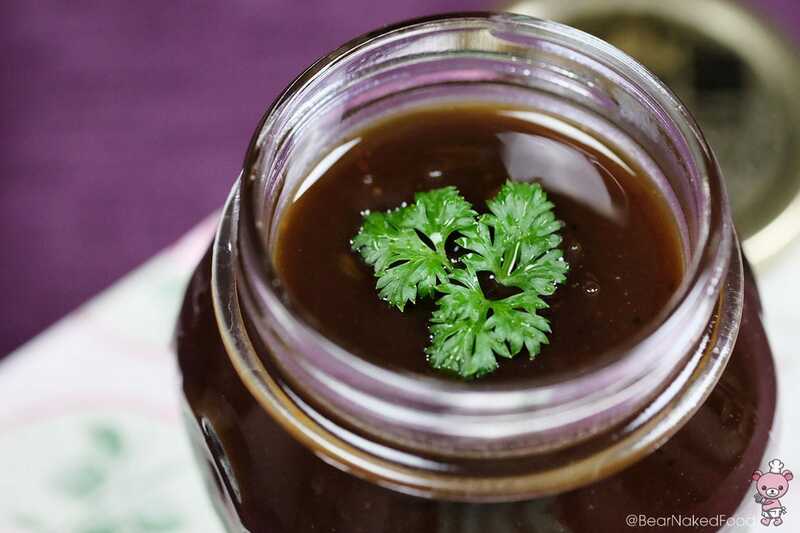 Reduce to low heat and simmer for 10 mins. 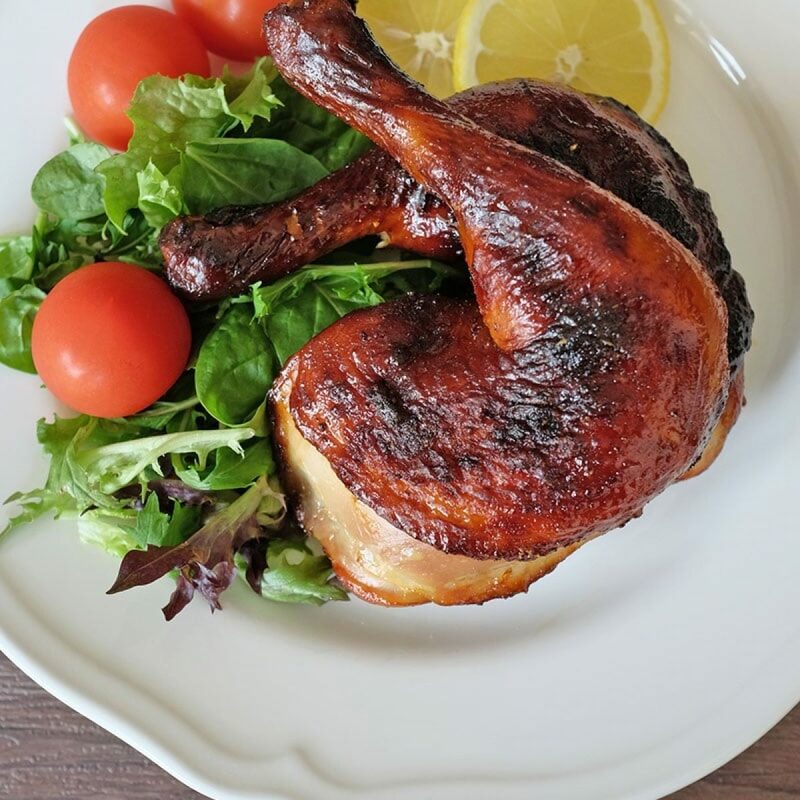 Adjust seasoning and taste until it suits you. 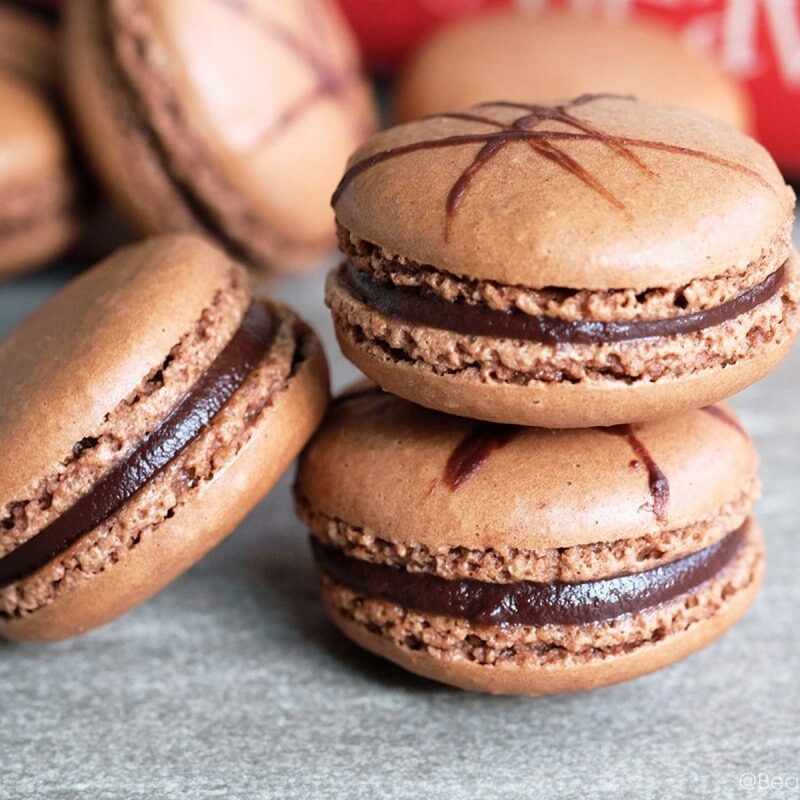 Let it cool before storing in an air-tight container. 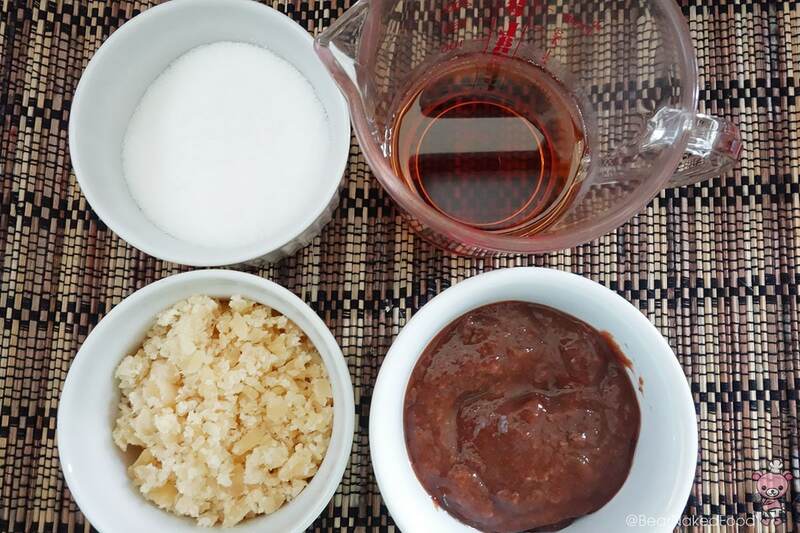 Ingredients for Pad Thai sauce: white sugar, palm sugar, tamarind concentrate, fish sauce. 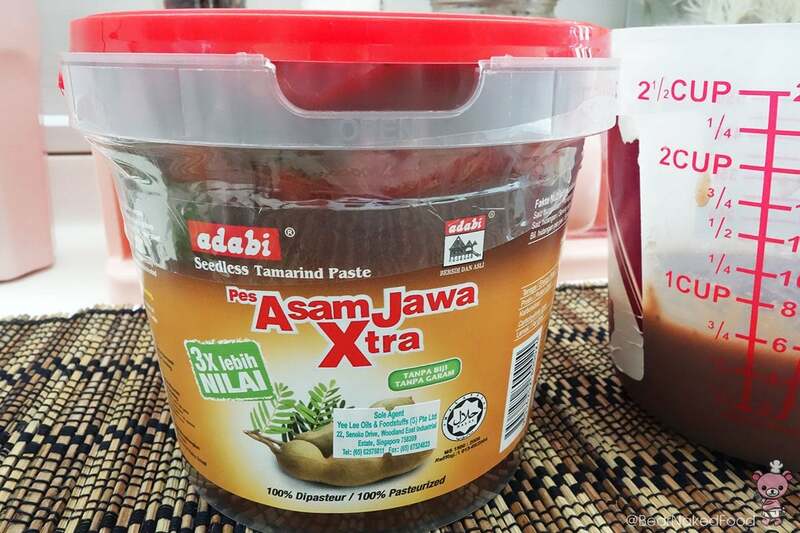 This is Tamarind paste I’m using. Feel free to use any other brands you like. 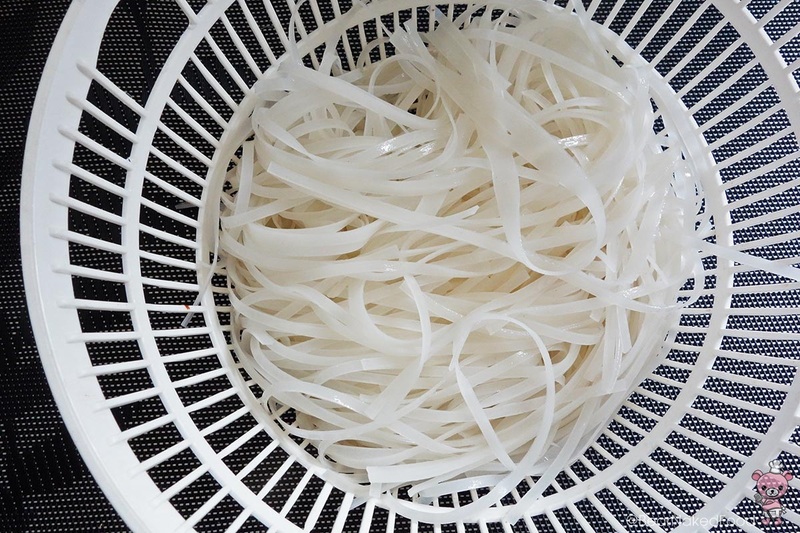 Soak rice stick noodles in a bowl of cold tap water or about 30 mins, until opaque. 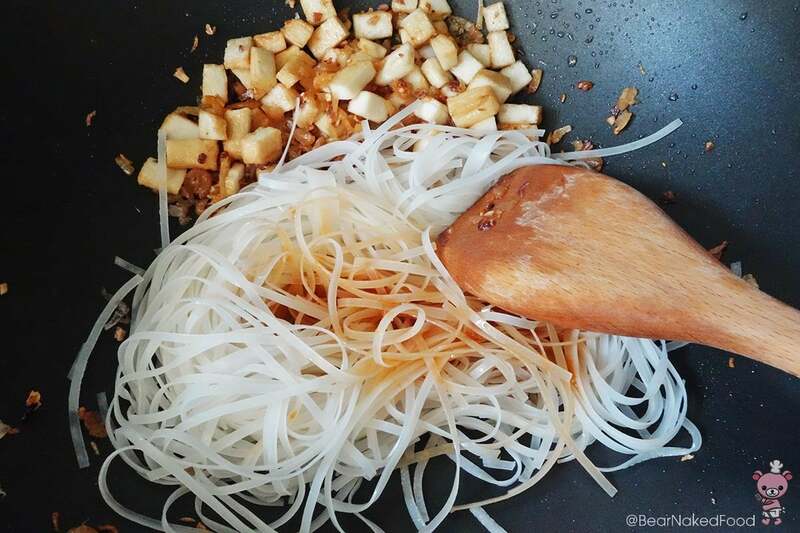 Meanwhile, go ahead to make the Pad Thai sauce. Place all the ingredients near to your cooking station. In a large wok or pan, add 3 tbsp oil and when the wok is hot, add in garlic and shallot and stir fry briefly until fragrant. Add in tofu and dried shrimp and cook until golden brown. Add in minced preserved radish and cook for a further 30 secs. Push the ingredients to one side of the wok and add in another 2 tbsp oil. 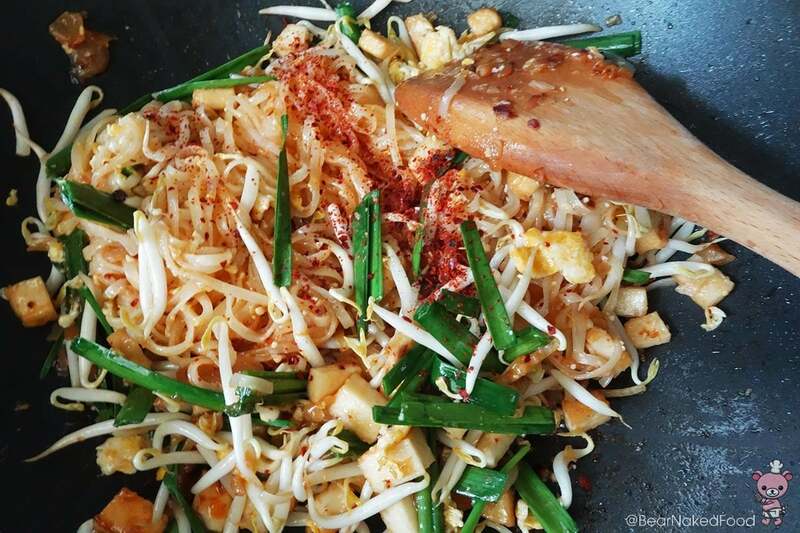 Drop the rice noodles in and drizzle 1/3 of the pad thai sauce over it. Stir fry quickly and combine the rest of the ingredients in the wok together. Push the noodles to one side of the wok and add in 2 tbsp oil. Crack the eggs into the wok and use the spatula to break it. 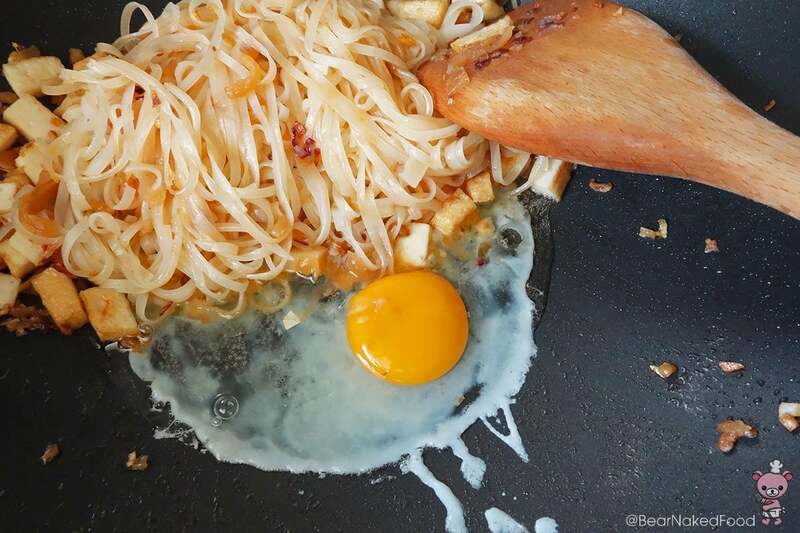 Let it sizzle in the wok for few secs before putting the noodles on top of the egg. Add in desired amount of chili flakes, crushed peanuts and pour in the rest of the sauce. Mix well. 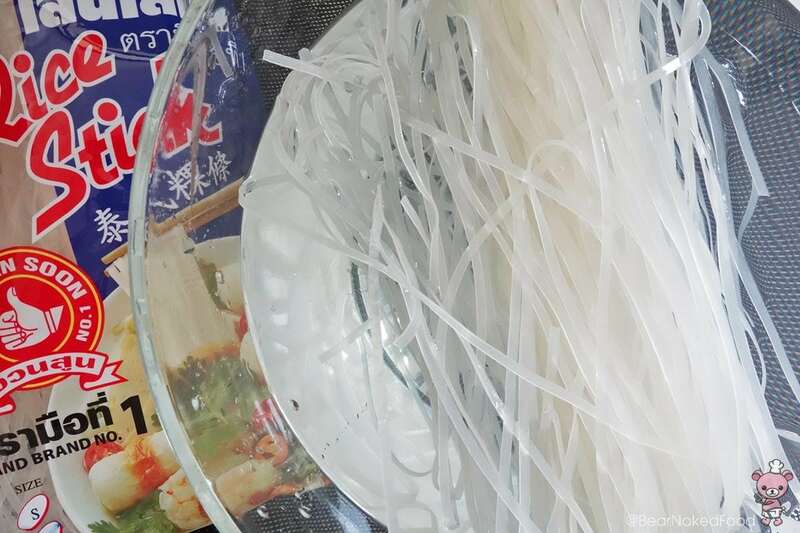 If the noodles appear to be dry, add in ½ cup water. 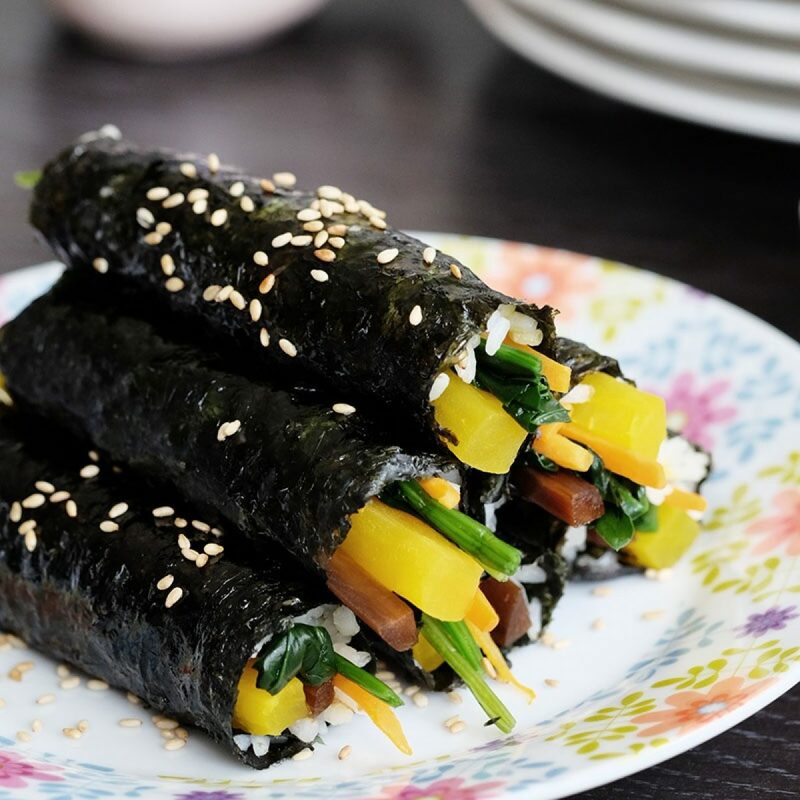 Cook until noodles are soft but slightly springy. Lastly, add in the bean sprouts and chives and cook for a final min. I like to keep the vegetable on the crunchy side.